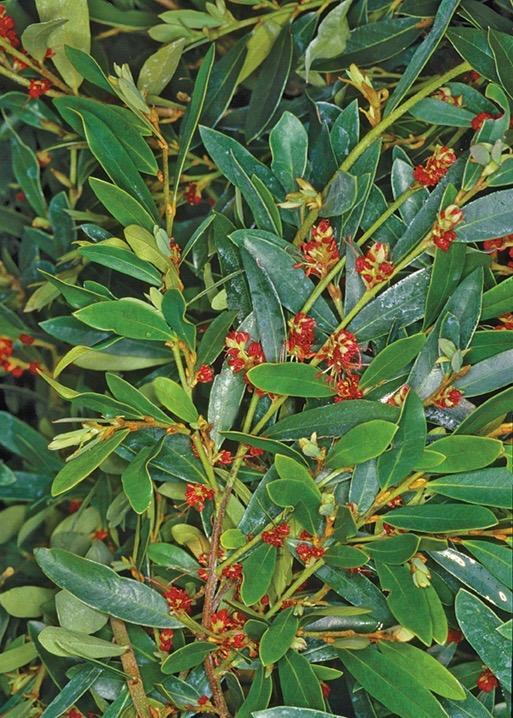 Dense compact evergreen with steely blue foliage in spring. Red flowers February to March. Sun and good drainage. 1m tall. Good in containers. Prefers sheltered spot.